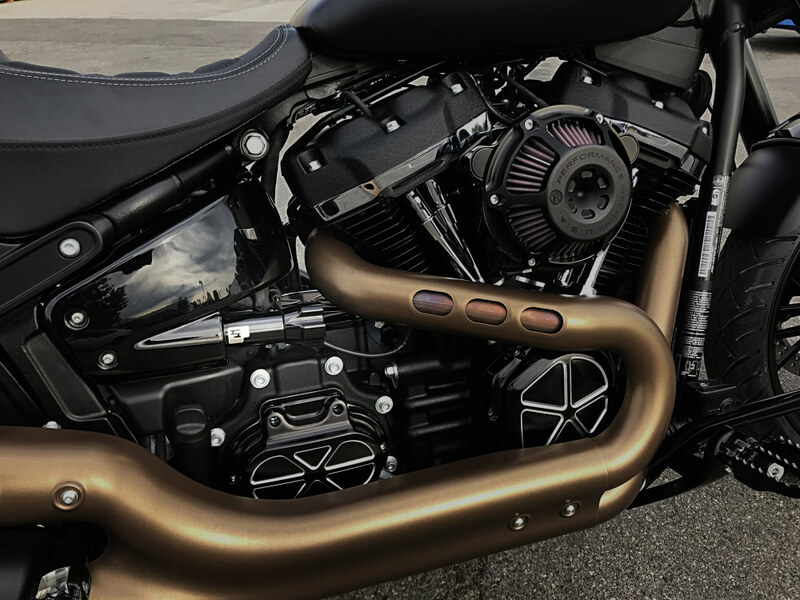 The 465 Series Shock Absorber from Progressive Suspension, is a state of the art high pressure gas monotube shock design for the new Harley-Davidson M8 Softail models. 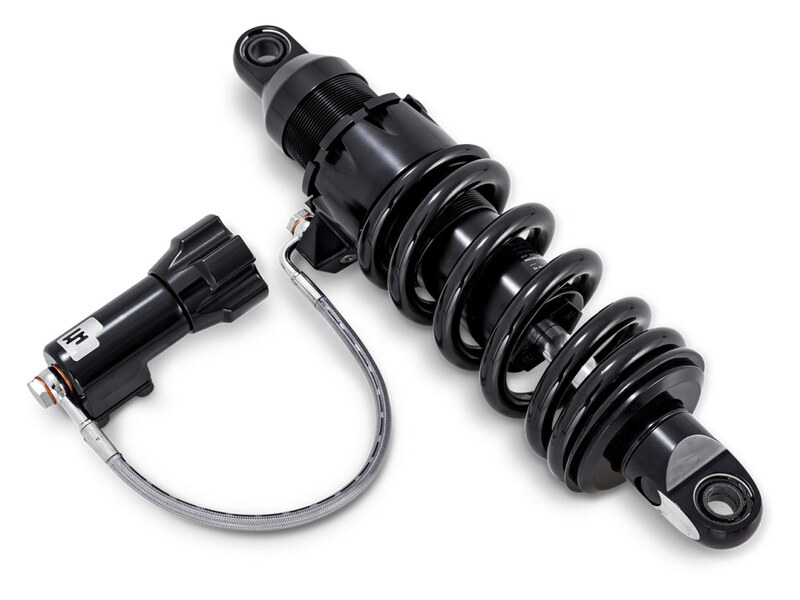 465 Series Shocks are available in a Standard and Heavy Duty spring rate. 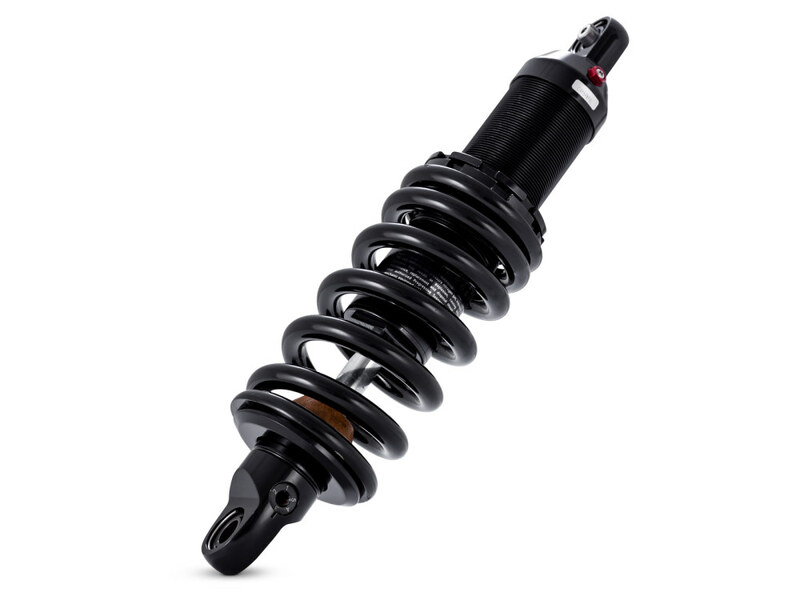 Progressive gives riders the option to choose from 12.2″, 12.6″, 13.1″ & 13.5″ shock lengths for M8 Softail Models. 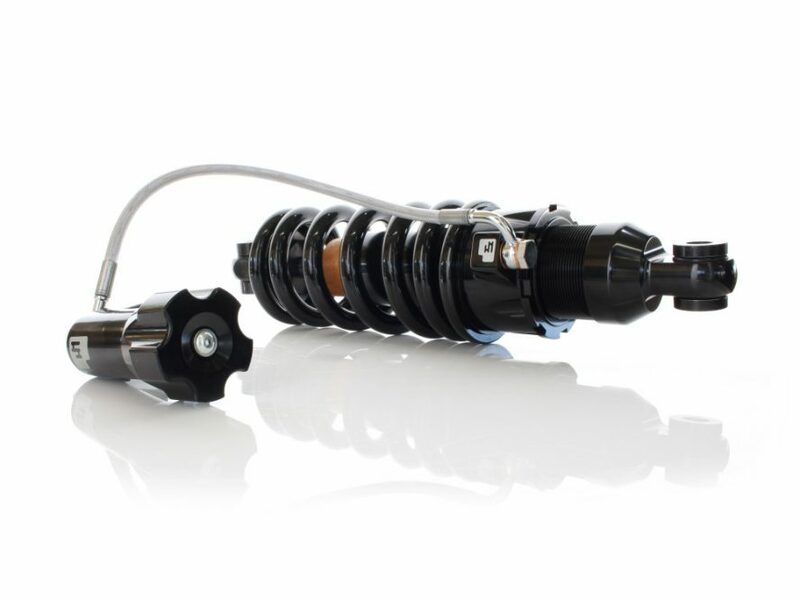 Optionally, 465 Series Shocks are available with Remote Adjustable Preload (RAP); this option features a remote hydraulic adjuster to make it even easier to fine-tune your suspension for different loads, such as passengers or luggage. 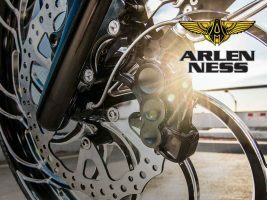 The Progressive 465 Series utilizes a large 46mm bore with deflective disc damping, threaded body and a 5 position rebound adjuster. The beefy 16mm hard chrome shaft rides on custom viton seals for a low friction and leak free life. Made in the USA.